And we're super excited to announce LibraryCamp 2014 is going to be happening in the beautiful city of Newcastle. We hope this means more campers can attend from the north and from Scotland and we'd urge you to come and experience an unconference if you've not been before. Thank you to our super generous hosts, Newcastle Libraries and our LibraryCamp friends in the North who have arranged a spiffing venue at Newcastle Library. Please do add Saturday 13 September to your diaries and sign up on the EventBrite expression of interest list. Although the list isn't a guaranteed ticket it does mean you'll find out first when the actual tickets are released. It also really helps us gauge numbers and catering requirements. As ever, the theme of LibraryCamp is improving libraries. In July 2011, a small group of UK library staff began brainstorming how libraries can avoid extinction, reinvent themselves and strengthen their role as vital parts of their communities. With that, LibraryCamp was borne! Directly inspired by UK GovCamp, the virgin library campers set about creating an unconference with a focus on improving and transforming libraries. Anyone and everyone! This is definitely not an event exclusively for library staff. 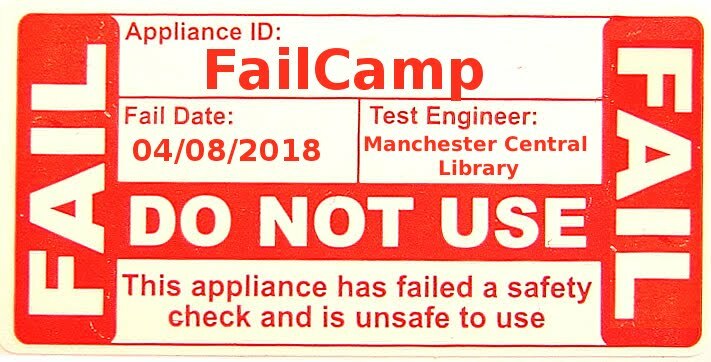 LibraryCamp is open to all. You definitely don't need to work in a library - and we'd welcome LOTS more non library folk. Plus we need more input from public library staff. It doesn't matter what your job title is - you just need to have an opinion, have something to share, teach or discuss! Librarycamp is a user generated unconference for people interested in libraries. The theme of LibraryCamp is improving and transforming libraries. At a librarycamp the participants lead the agenda – in fact, there isn’t an agenda until people make suggestions for what they’d like to talk about at the start of the day. It’s free to attend and there are no keynote speakers. It’s open to anyone: public/private/whatever sector and you don't have to work in a library. Are public libraries safe under local authority control? A Librarycamp is an unconference for people who want to improve libraries. At a camp the participants lead the agenda – in fact, there isn’t an agenda until people make suggestions for what they’d like to talk about at the start of the day. There's no cost, there are no keynotes and we're a PowerPoint free zone. Librarycamp is open to anyone: public/private/whatever sector and you don't have to work in a library.